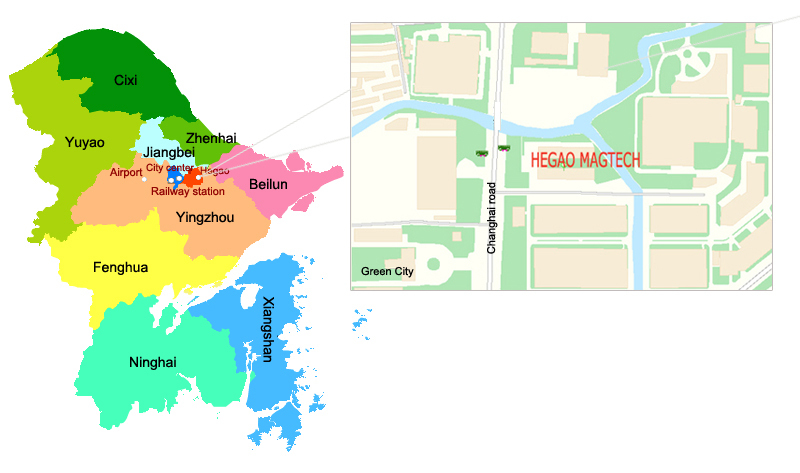 Ningbo Hegao Magnetic Technology Co.,Ltd， locates in the east of Ningbo, which is a beautiful, coastal city with greatly convenient traffic. It is about 5 kilometers away from City center, 8 kilometers away from railway station, and only 15 kilometers away from Airport. You can by arrive at our company takeing 105、388、367、508 bus !